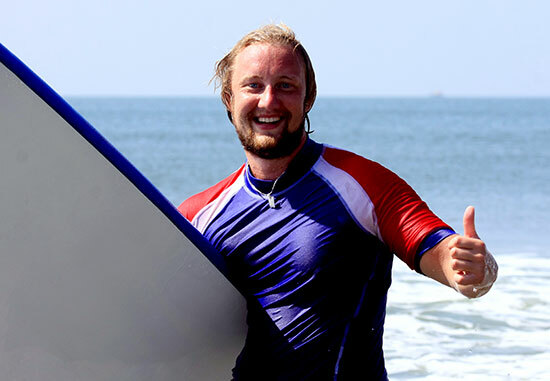 Surfboard in Goa, Softboard in Goa. 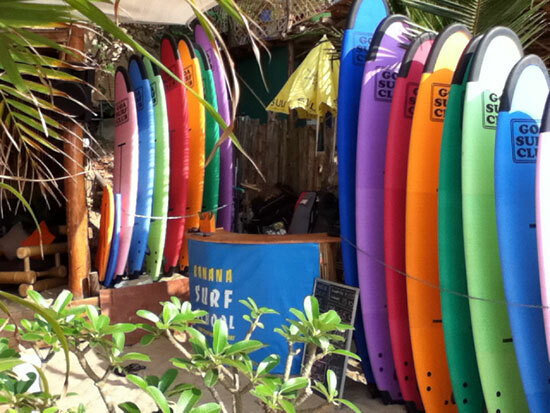 Choosing a right surfboard at your first lesson is important. The bigger the board - the easyer to learn. Small surfboards turn faster but float less and requires more experince. With a dozen of materials used to produce surfboards today we choose boards made of poleurethane with a fiberglass cover and a soft top. They have all been custom shaped for the school by Robi Hendra in his factory in Bali. For safety reasons our boards have soft top covers that also make them less slippery. Fins are made from the soft rubber and would not breake on the shallow water. Boards are marked for you to see a best place for your front/back foot and a middle line for easy balance. To avoid irritation, sunburn or losing heat students are supplied with U-V protection shirts for their lessons.